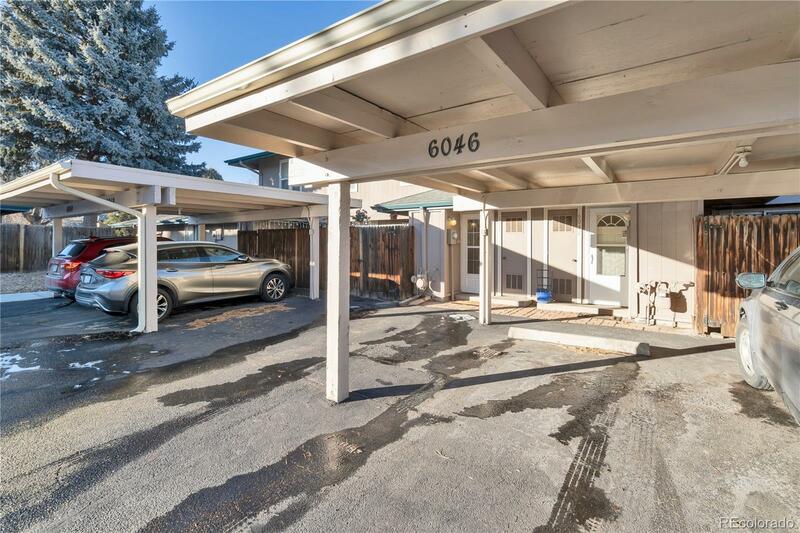 Well kept 2 bedroom/2 bath condo in the heart of DTC and Greenwood Village. Newer Paint, Stainless Steel Appliances, Lighting Fixtures, Windows and Storm Doors. Light, Bright and Open. Spacious Dining Area with Beetle Kill Pine flooring. Plenty of outdoor living space with 2 Private Patios! Family room hosts a new Jotul Cast Iron Wood Stove. Ample insulated attic storage with newly installed, easy-open Pull Down Stairs. Reserved covered parking and convenient guest parking one spot over. Great value for the area with Light Rail only a few blocks away, walking distance to Chinook Tavern, Zink Kitchen, Tokyo Joes, Tavern DTC and more! All Appliances and Window Treatments included. Extremely well maintained grounds and pool. Quick Possession. Move in ready. Hurry Hurry...this one won't last. Selling Office: Ion Real Estate Inc.